Why Men Lie examines the life of Fay (Effie) MacAskill Gillis, originally from Cape Breaton Island, now longtime Toronto resident, professor of Gaelic Studies, and department head at a major university. She is the ex-wife of John Gillis, protagonist from The Long Stretch, and sister to Duncan MacAskill, the priest from The Bishop’s Man. (Both characters appear in the third installment.) As an independent, confident, and successful middle aged woman, Effie is well aware of disappointments that accompany romantic relationships. She is also attuned to the innate ability of men to lie. When Effie is introduced she is writing off her second (and most philandering) husband Alexander Sextus Gillis after she hears of his latest illicit liaison. This fallout is diverted by a chance encounter with a handsome, seemingly well-adjusted, old acquaintance JC Campbell. JC and Effie begin, what seems like, a healthy, mutually respectful relationship. The novel becomes an open examination of her three past relationships and a dissection of her most recent romance with this gentleman from her past. Throughout the novel, Effie also grapples with the issues of secrecy, infidelity and solitude. Comfortable in her hermetic state, but aware of the unbearable lightness caused by isolation, Effie tries to determine which she possesses. At one instance she concludes that the difference between “isolation and solitude is autonomy.” But she comes to see that when we allow ourselves to become emotionally vulnerable, while engaging in a relationship with another, we always give up some of that autonomy. MacIntyre draws us into becoming fully immersed observers watching Effie slowly give up some of her self-governance. As time passes, JC also reveals secrets, insecurities, and troubles. Some of those issues are revealed when JC, a journalist, covers the story of a Canadian man, Sam, on death row in Texas for a murder. His devotion to the case becomes his personal obsession. After an altercation on New Years Eve leaves her partner hospitalized, Effie begins to suspect that JC is satisfying his carnal impulses outside the relationship. While her presumption turns out to be false, the issue remains: she knows very little about JC. Why Men Lie is a fascinating examination of the contrasting opinions on the truth. 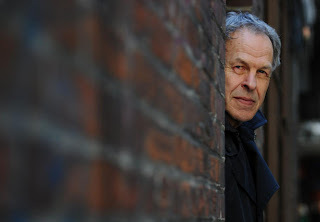 The grey area between deception and secrets is also examined. Throughout the book, JC may not explicitly lie to Effie, at least not in the same way Sextus has, but he does not reveal his full self. Is this a lie? “Secrets are funny,” Duncan reveals to Effie. “They demand fidelity regardless of their worth. Even an unworthy secret is a test of character. That’s why I never messed with your secrets.” It can be debated whether secrets are but untold lies. Would this mean that all of us with secrets are subsequently liars? “We rarely see another human in his moral nakedness,” Effie concludes one morning while wondering about the actions of her counterpart. 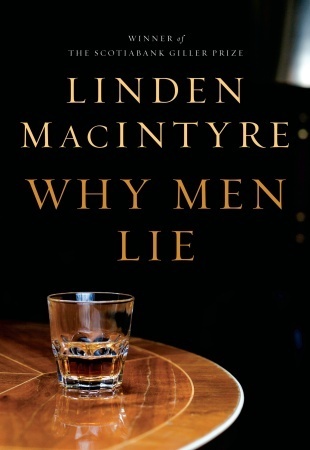 Why Men Lie provides a potent emotional landscape that is a worthy addition to Canadian Literature. The novel offers not only a story, but a lesson in how we come to represent ourselves. Since geography always plays such a leading role in the genre, the shift in settings between Toronto and Nova Scotia resonates memorably. The characters, although troubled, struggle to be strong, respectable, and true-to-life. They face moral dilemmas, similar to those we all face, and each deal with them within their own capacities. Why Men Lie asks many questions. While it may not have answers to all the troubling questions about men, women, relationships, and lying, it has a way of keeping those questions burning in us as well.